Hi guys! I'm excited to be working with The Mix today. It's a bunch of basics that are actually anything BUT basic! The coolest thing about The Mix is that it works for anything and it works with anything. 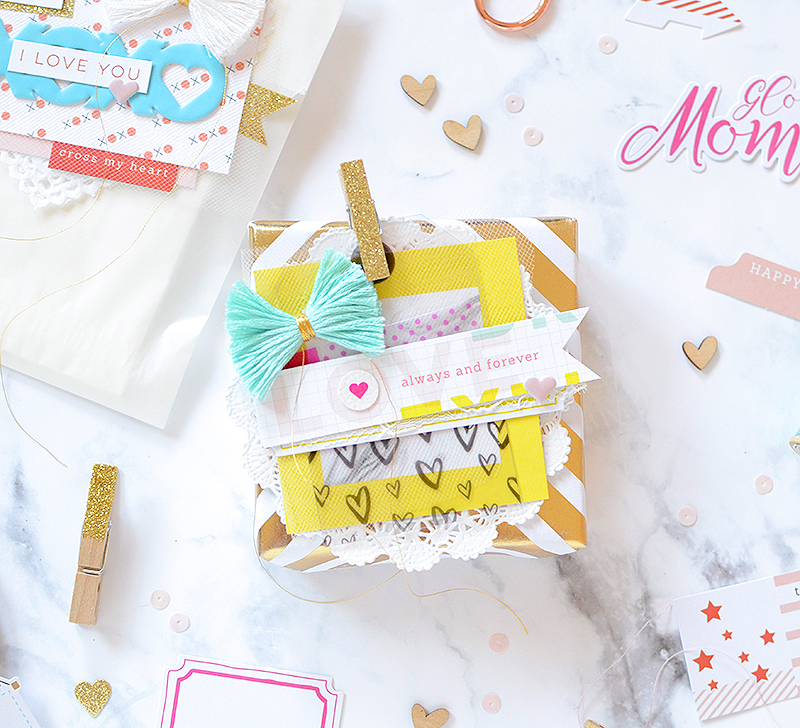 For my projects today, I made some valentine tags and paired it with some Live More paper scraps. My valentines are a bit of a hodgepodge but I'm all right with that. It's all right to not always be matchy-matchy. In this case, they really are completely different, but I didn't exactly create them to go together. 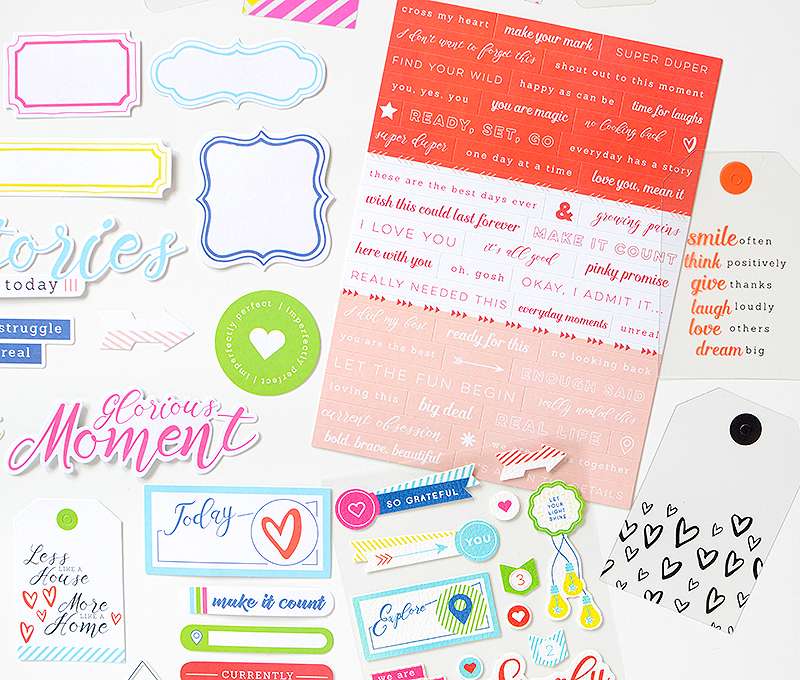 For the first tag, I was inspired by a couple of the cardstock stickers--'oh, gosh' and 'i love you.' 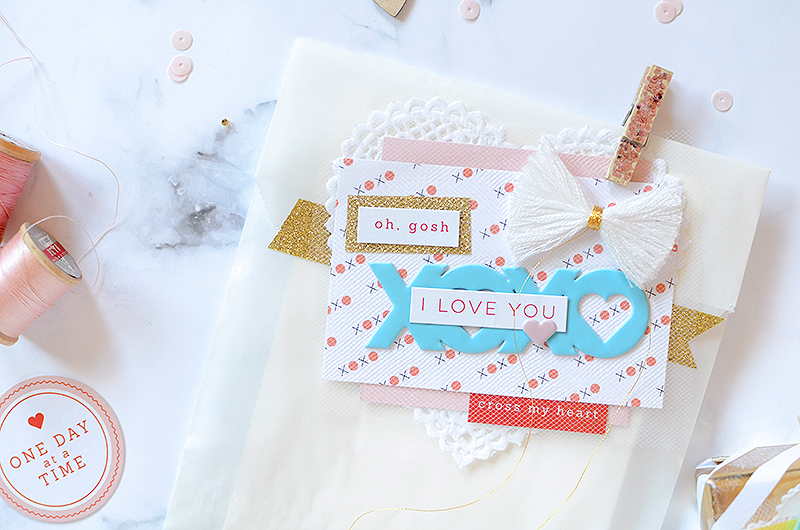 With Valentine's Day in mind, I also thought the XOXO puffy sticker could be put to use, and when I put it together with the XOXO paper from Live More, the rest of the tag just kind of fell into place. 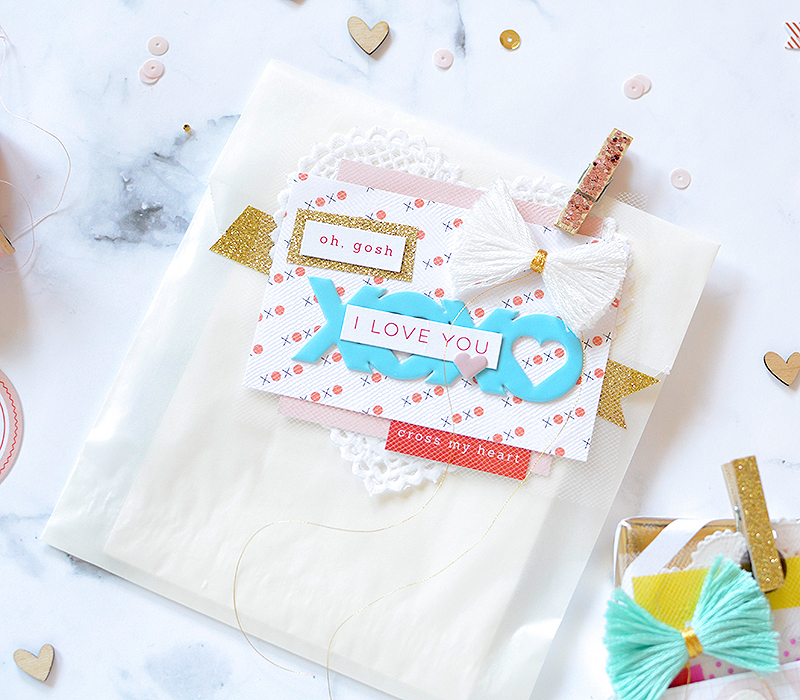 The colors of the O's in the paper are similar to the text of the sentiment stickers, and then I mixed in a light pink from another swatch of LM paper and a puffy heart. The cool splash of blue really pops against the rest of the warmer elements, don't you think? The second tag is completely different. I wanted to use the black hearts acetate tag but I really wanted to pair it with some bright colors like magenta pink and bright yellow. Magenta is a solid staple in The Mix and I was able to pull in the yellow from Live More papers and a label die cut from TM. 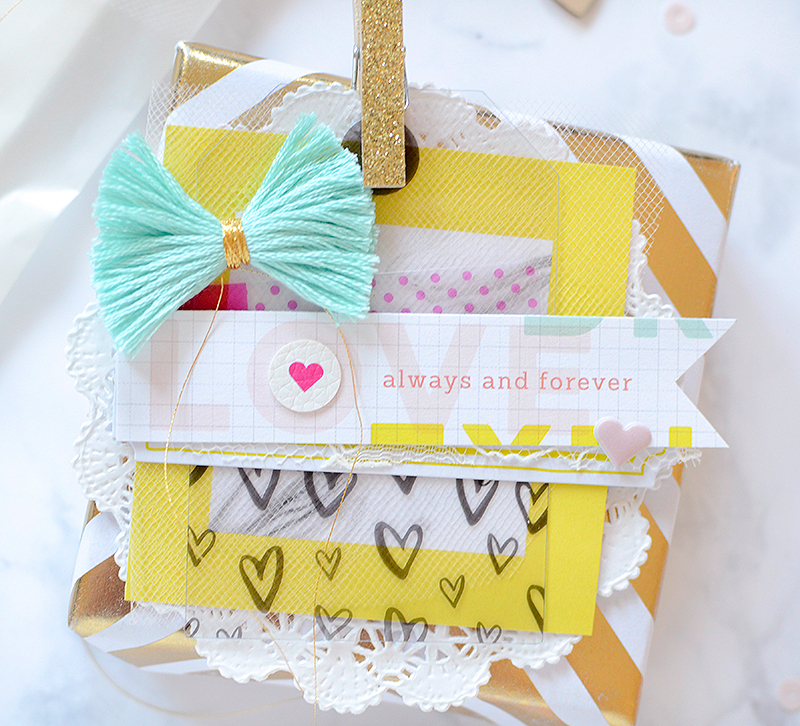 I also chose to include the valentine-like sentiment 'love, always and forever' from a LM 6x6 paper. A leatherette heart sticker fits so sweetly inside the O, too--as soon as I put it there when I was first dabbling with this tag, I knew I had to use it! Then it was time to layer on all of my elements. 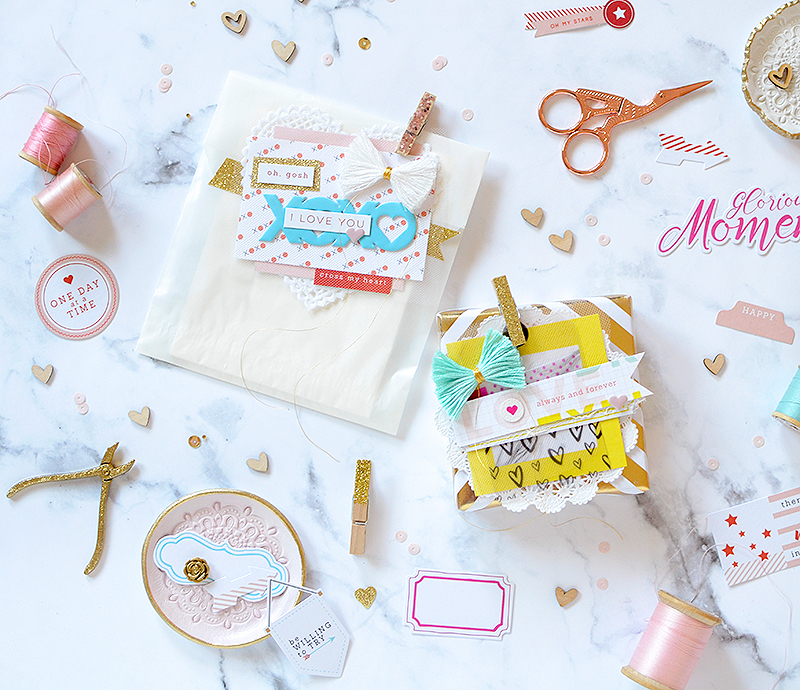 Doily-tulle-paper piece-acetate hearts tag-cluster of tags and labels-a couple finishing touches. 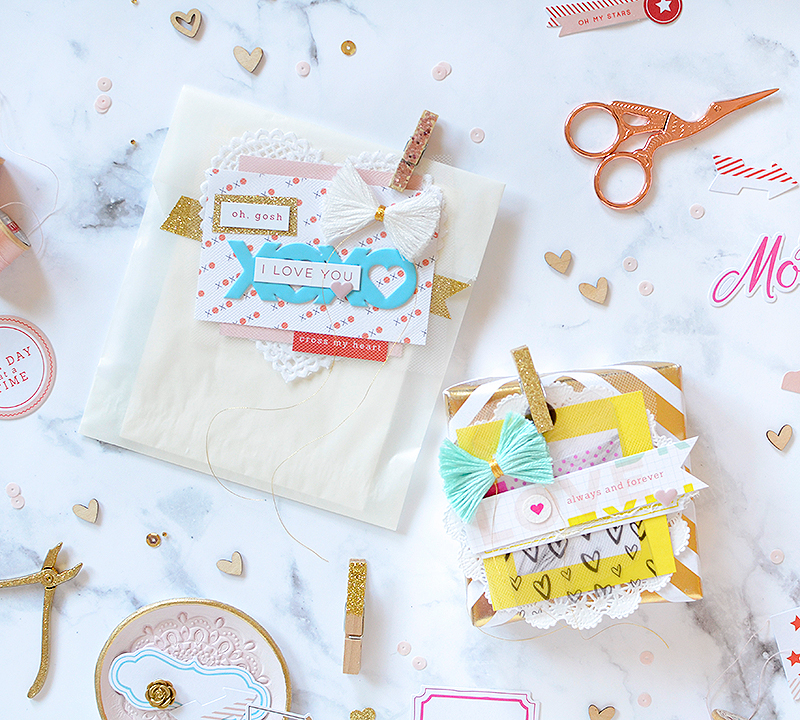 Specifically, the finishers are the aforementioned leatherette sticker, a pink puffy heart, a swatch of lace, and an aqua fringe bow. Done!